To meditate well we need instruction from someone competent who we relate to well, and then we need to practice regularly. Many of us these days are looking to Apps for this instruction and support, but such Apps take a great deal of time and effort to develop and are very expensive. The Meditation Gateway App provides a solution. Three years in the making, just about to be released, this is a project my partner in IT Saurabh Mishra and I have been focused on for the last 3 years. The Meditation Gateway App has been developed as a platform to make it possible for individual teachers and meditation schools large and small to provide a technologically sophisticated App for their students - in a way that is affordable and easy. You do not give up there and then. The next day, you go ahead and eat breakfast. Up until now, a technologically sophisticated App has been beyond the resources of most meditation teachers and schools. Many would like to have one, some do, but a really good one is commonly too expensive, takes too much time and energy to develop, and so does not get done. The Meditation Gateway App is designed to change all that. This technologically sophisticated platform makes it possible for meditation schools and individual meditation teachers to educate, support and interact with their own students using their own material. The Meditation Gateway App provides a platform onto which the school or teacher’s own material including branding and logo can be uploaded quite simply. The App each subscriber will use will have all the look and feel characteristic of their chosen teacher/school. Then the teachings and guided meditations can be used in a variety of ways as summarised below. This app has evolved out of our own on-line meditation program, Mindbody Mastery (www.mindbodymastery.net) that has been a testing ground to develop this technology. On average, users of the Mindbody Mastery program tripled their reported frequency of practice and maybe just as remarkably, reported that the satisfaction levels with their practice also increased three fold. Mindbody Mastery will be one of the programs available through the Meditation Gateway App when it is released in a week or so. How can this work financially? Users of each individual meditation App pay a modest monthly fee. This fee is then distributed on a revenue sharing basis – some going to Apple or the Android people, some to the meditation teacher/school, and some to us to keep the wheels turning. Simple. The meditation teacher/school has no upfront fees as we aimed to make this all very accessible. Each meditation school will be able to upload its own content (including audio guided meditation sessions and mind-body exercises, audio/video clips of talks, and accompanying text) on our secure site, which the student will be able to access through the app. Restricted access will be possible to certain material if preferred. The Meditation Gateway App has been designed to be very clear, very easy to use. After months of testing and further development from the original starting point, we are confident this design has been achieved. 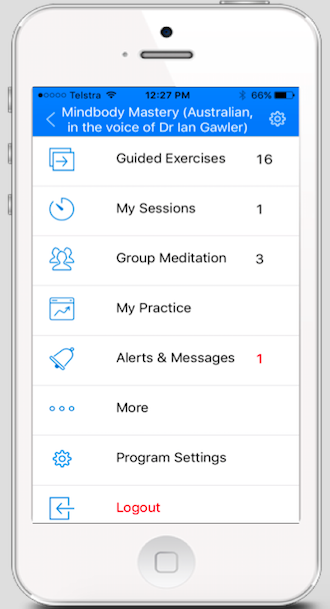 The material each teacher/school uploads can either all be made available as soon as a new member subscribes; or material can be released on a pre-determined schedule, effectively making a meditation course available via the App. Again, if chosen, daily emails can be sent via the App to support, instruct, inspire and encourage subscribers to continue to develop their practice, and to practice more regularly. With Mindbody Mastery, we feel these emails have been one of the very effective ways we have been able to support our users to meditate so much more often. Gentle, positive reminders. a) Create his/her own customised meditation session using any of the guided exercises made available by that user’s meditation school in any sequence, with any amount of silent time before, in between, or after. We also provide the sound of meditation bells to add at the start and end of sessions if desired. b) Access specific pre-customised sessions for dealing with anxiety, pain, insomnia, and other “states of mind” if the teacher/school chooses this option (content provided by Imageryworks and/or the meditation program). Imagery forms the basis of many powerful and popular mind-body exercises as well as traditional sadhanas. Examples include an exercise in which the meditator brings to mind images of very specific things from his/her life (good as well as challenging), and expresses gratitude for each in turn. This app will enable the subscriber to use the Smartphone’s camera to take photos of the various images featured in the practices with the smartphone, for the App to show on-screen during the exercise at the chosen times. a) Make a regular or one off time to meditate online with friends (daily/weekly, etc.) which automatically updates your smartphone’s calendar and sets an alarm. b) Push a button to check-in before start of session to let others know that they are in (e.g. “Saurabh has checked in”). c) Interact with the group outside of the sessions via text messaging. b) Create and play a customised session that all participants hear simultaneously. 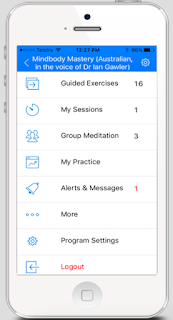 This app will track usage as well as ask the subscriber for regular feedback about the quality of his/her meditation practice, which will be delivered back to the meditation program’s coordinator (subject to subscriber consent), to help them deliver support interventions. 9. “Gaming” concepts to increase usage will be available if preferred – e.g. 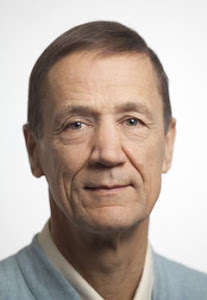 maintaining a leader board of the most consistent virtual meditation groups (each quarter the leading group gets some reward such as a personal audience with the meditation master/principal teacher associated with the program). While not everyone’s choice, “gaming” principles have been shown to be highly effective in helping many people to establish new healthy lifestyle habits. 10. The app will collect a monthly subscription fee (specified by each meditation program) from the user. This amount can be determined by each school or teacher. 11. The Meditation Gateway App also provides technical support for subscribers so this necessity is taken care of. 12. Each quarter, a new feature will be added to the Meditation Gateway platform that will be accessible by all the individual app users. This will continue to build interest and to support ongoing usage. We have some great innovations already being developed for these free add-ons and will continue to respond to user feedback and requests. So – excited? I am! This is the culmination of years of work and it is planned to be released within the week, thereby also making Mindbody Mastery available to you. Hope you like it and find it really helpful, and look forward to your feedback. 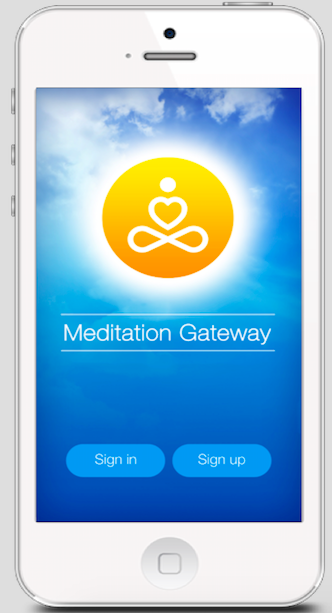 Once the Meditation Gateway App is released, we will let you know. Not long to go now…. In her role as President of Meditation Australia, Ruth will be the MC for a terrific meditation event at the Deakin Edge in Melbourne's Federation Square on Thursday 16th at 7pm. "Meditation Past, Present and Future", will feature a stellar speaker's list including Pauline McKinnon, Craig Hassed, Janet Etty-Leal, Ken Mellor and Kay Watts. Booking soon is advised as I suspect this event will be fully booked. See you there?